September 15, 2016 : For full flavor notes head over to http://diyordievaping.com/2016/09/12/cuprian-diy-ejuice-recipes/. Mixing the newer JF milk chocolate version. I've made it before and it was kind of meh for me, flavor profile is spot on but its just like... Melted mint chocolate chip ice cream. If you're into that sort of thing, cool. I just now added 2% WS-23 to give it a nice cooling factor and it's much better. What's the point of ice cream if it's not cold? There's something weirdly waxy and heavy in here, but aside from that, this is nice. Not a shake & vape for me though, that INW milk choc needs time. This is one of the best recipes I have mixed up, it's in my daily rotation. Great stuff. 5 stars recipe of the year! Really great for the first 10 days or so, but I found the mint really drops away after that. I'll try increasing it next time. This is spot on. It's really good at max VG as well. Like this best after 2 weeks when chocolate comes out more. Went through 50 in no time. Need to mix more! Extremely well-balanced recipe that hits the mint-chocolate chip ice cream profile spot-on. Went through 30ml first day. Working on a 60ml and just mixed a 120ml (because it is the largest glass bottle I have). Absolutely love this. Thanks Wayne Walker and Scott Michael! Very authentic tasting and a great mix. I mixed a 30ml and I'm almost out already without the juice even have steeped a full day...and I've been vaping it out of a kayfun. Needless to say this is a great recipe. 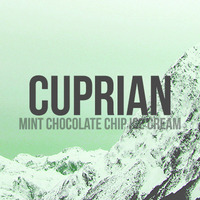 Excellent combination of chocolate, mint and cream. The first chocolate vape Ive had that isn't either slightly odd tasting or just downright offensive. It layers perfectly with the creme de menthe and is very authentic tasting. This will probably be my ADV for a while.